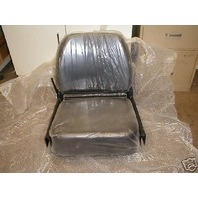 You are bidding on a fantastic seat that we use in a variety of applications. Loaders: 977K, 983. Dozers: D6C, D6D, D7E, D7F, D7G, D8H, D8K, D9G, D9H, D5B. 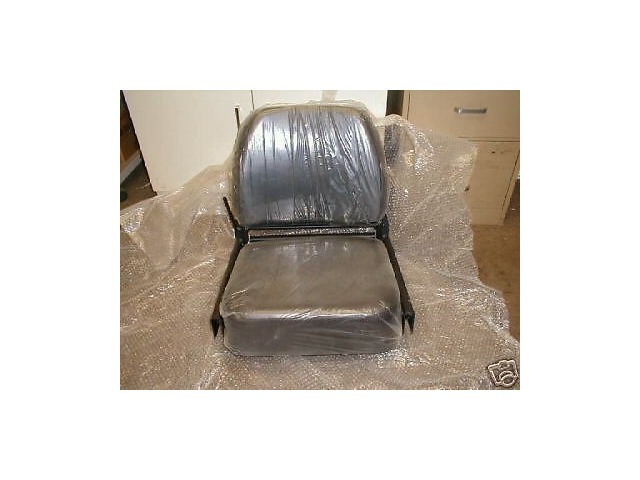 This seat also fits other Caterpillar dozers loaders and machinery (mostly large applications). 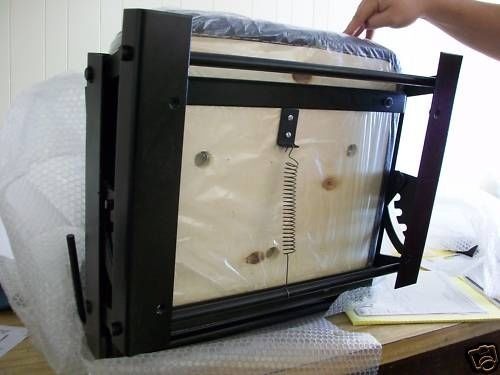 Please check the part number (or call us to see what your machine calls for) to see if it matches the one below. We also have the replacement cushions for this seat if you just need that. Arm rests are also available (they differ by machine, so call for what you need). If so just give us a call @ 1-866-507-2787. Our customers have bragged about how comfortable this seat is, and how they are able to work more hours comfortably during the day. 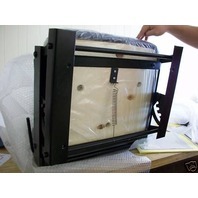 This seat has an adjustable metal frame and is the complete seat group including brackets. Does not include arm rests but those are also available from us 8H9167 (2). It has a vinyl covering that provides a long-lasting comfort and durability so it won't tear under normal use. The contoured foam cushion gives added comfort and support. The mounting pattern dimensions are available upon request. Call or email for a diagram of the mounting pattern or if you have any questions about the seat. IT WILL FIT A VARIETY OF APPLICATIONS. Call w/ your serial # to confirm. COST EFFECTIVE. 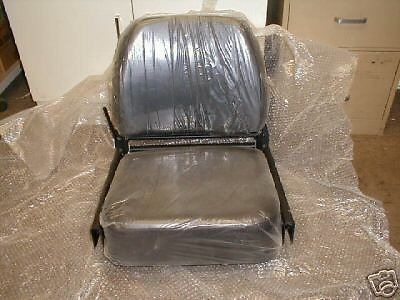 Caterpillar charges over $550 for this same seat....plus sales tax! Does it fit my_____? Bottom line, it is time to measure or give us the serial number of your machine. If not sure on the bolt pattern, we need to know the bolt pattern of your seat's base. What it I want arm rests, individual cushions or other options? Call 1-866-507-2787 for quote. What else do you guys do? We are a used heavy equipment and parts dealer. We help people nationwide with practical solutions for their equipment needs. We offer new, used, rebuilt parts and components for all makes and models of machinery. Chances are if you have a problem/repair need...we have dealt with it before. Call us for cost effective practial solutions 1-866-507-2787.